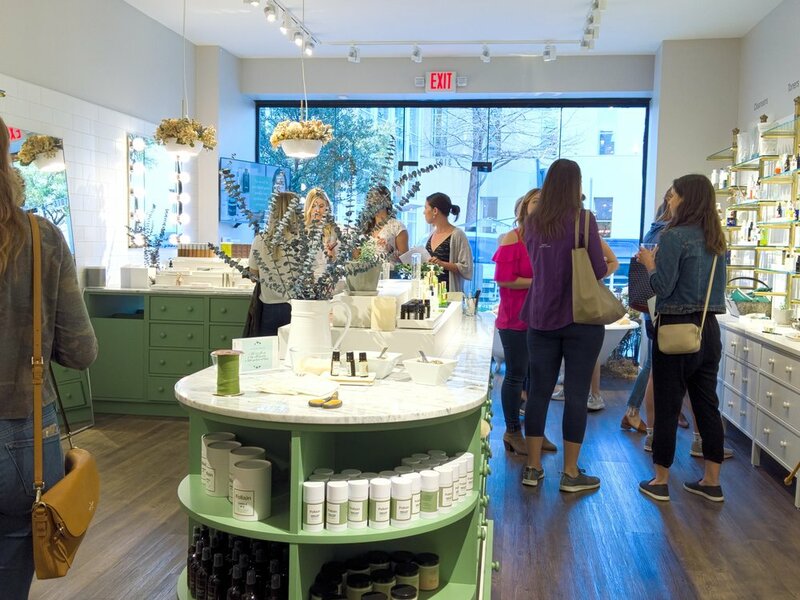 We had the ultimate evening out at clean beauty boutique Follain on Knox! More than 100 guests enjoyed wine and cheese through the evening, while shopping with an exclusive 15% discount storewide. 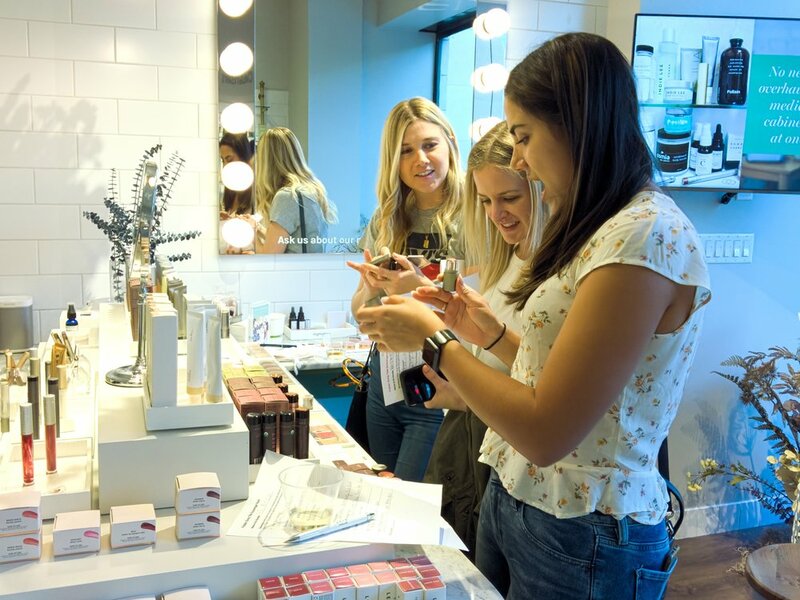 In-house experts offered curated skincare consultations and samples of anything that guests wanted to try. The brow, highlighter and lip bar was very popular, as well as the DIY aroma station — and there were two lucky raffle winners!